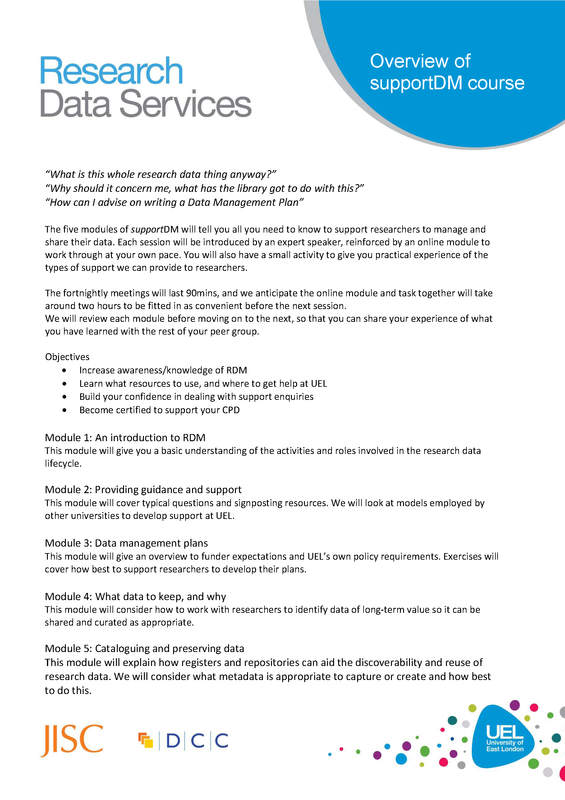 These are the types of questions librarians ask when contemplating involvement in an RDM support service. John and I met with Sarah Jones and Monica Duke of DCC this week to firm up the course outline and content for the “supportDM” training course aimed at liaison librarians. Here’s what we are telling our colleagues signing up for the course starting in early March.